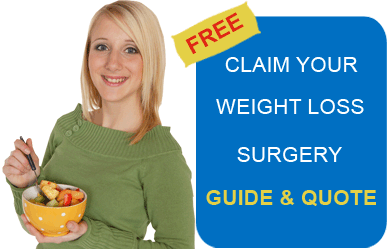 Revision Surgery from Gastric Bypass to vertical sleeve surgery in India is an easy and affordable option for people who may have failed at their previous surgical weight loss attempts. Gastric Bypass Revision in India could be a cost-saving option for people, who dread the big medical bills involved with weight loss surgeries in their own countries. Cost comparison: Cost of the procedure will depend on detailed medical evaluation. Please fillthe quote request form on the right for more details. Alternative Names: Revision surgery roux-en-Y to gastric sleeve, revision surgery roux-en-y to vertical sleeve gastrectomy, revision surgery rny to gastric sleeve. Affordable treatment costs. The cost-saving could be anywhere between 30 and 70% for various procedures. No waiting time i.e. availability of immediate treatment. Many of the hospitals are accredited by national and international agencies, and have latest medical equipments. Our network includes highly experienced bariatric surgeons, and strong paramedical teams to assist the doctors. India is well connected with North America and Europe by many regular flights. Recreation centers, yoga and massage centers are popular among tourists for rejuvenation of the body and mind. Patients will be required to fill a pre-medical questionnaire, which the surgeon will use for qualifying the patients for surgery. Pre-op tests will be conducted upon reaching the surgery location. Patients should follow the surgeon’s recommended pre-operative measures like diet, exercise, medication etc. Visa: Except for citizens of Nepal and Bhutan, visa is required for all other nationals. Language: Hindi is the official language. English is the secondary official language. Greeting: Indians greet by folding hands and saying ‘Namaste,’ which means ‘hello’ in English. Goa: It is famous for its beaches that stretch across the 100 kms long coastline. Some of the famous beaches are Colva beach, Palolem beach, Arjuna Beach, Calangute Beach. Famous Goan churches including Basilica of Bom Jesusn and Se Cathedral in Old Goa, The Church of Mary in Panjim, Church of St. Augustine in Baingina are very popular with the tourists who visit India. Gastric Bypass revision to vertical sleeve surgery in India is performed by highly skilled professionals in our network. The affordable costs and rich cultural heritage of India are the main attractions for foreigners seeking weight loss surgery in India.